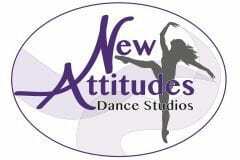 Fill your Marquette summer with dancing fun by registering for our 2018 Summer Dance Workshops at New Attitudes Dance Studios! Summer classes include Hip Hop, Musical Theater, Little Munchkins and more. See below for our full schedule of dance classes offered. Summer sessions begin July 17. All experience levels welcome! This class is set up to provide a fun experience for toddlers in creative movement and several fun dance and coordination exercises at the studio. A parent or adult needs to be present—and is welcome to observe—but does not need to participate in class.​ Ages 18 months to 3 years. Our Tiny Twinklers Kinder Class is designed to guide your little dancer on their journey of self expression and the passion for dance. We have created a warm and inviting atmosphere for them to learn, grow and to build a solid foundation for your child’s transition to our next level classes. But most of all… it’s intended to be LOTS of fun! Ages 4–5 years. A creative movement class that encourages exploration, free expression, independence and cooperation. In this class we teach young students the basic elements of dance—including rhythm, movement quality, space, body awareness and shape. The child’s imagination and self-esteem are encouraged and strengthened through dance as they explore combinations and exercises in Jazz, Tap, and Ballet. Ages 6–9 years. A high-energy dance class that encompasses movement that has elements of poppin’, locking, and breaking, as well as freestyle movement, to give students the opportunity to develop their own sense of style. Ages 9 years and older.